Minimal cargo space for "utility vehicle"
The 2016 Mercedes-Benz GLA is badged as a crossover utility vehicle, but if you only use it like a hatchback, you'll save $2,000 by not specifying the optional all-wheel drive. The 2016 Mercedes GLA isn't the roomiest of crossovers, but its luxury badge and a double shot of urban attitude give it a distinct appeal. The 2016 Mercedes-Benz GLA-Class is somewhere between a smaller version of the brand’s luxury SUVs—the compact GLC (nee GLK) or the mid-size GLE (nee ML)—and a five-door hatchback version of the CLA compact sedan. It’s got the "GL" prefix in its name, but its urban flair and both underpinnings and an interior shared with the small Mercedes CLA sedan make it a bit of both. 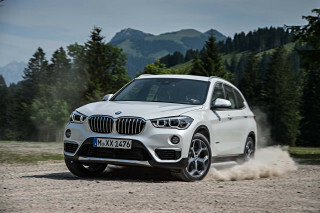 Still, small crossovers are a growing part of the car market globally, and luxury versions are flooding into the market fast. The GLA offers enough ground clearance to define it a light truck in the eyes of the U.S. government, and available all-wheel drive that actually gives decent off-road capabilities. It’ll likely spend most of its time on highways and city streets, but it’s definitely more practical than its CLA sedan sibling—a coupe-like vehicle whose sleek lines conceal an almost unusable rear seat. For its second year on the market, there are few substantial changes but a host of minor feature and option upgrades. The GLA sits high, riding on tall 18- or 19-inch wheels, and its curvaceous profile, body-side sculpting, and exaggerated lights and details give it a more outré attitude than most Mercedes utility vehicles. It’s a remarkable 8 inches shorter than the CLA sedan that spawned it, at just 174 inches long—meaning that it parks like a subcompact. The goal is to attract young, affluent first-time luxury buyers to a Mercedes-Benz with the capability of a crossover but without the stodgy, practical, family-friendly appearance of more traditional compact utility vehicles. From the front, the GLA leads off with a large Mercedes star on a rakish nose and upright front end. Fog lamps are integrated into the front bumper, and piped lighting in the swept-back headlights adds more detail to the front end. The wheel arches are large, and the car’s creases and ripples—especially the surfacing of the hood—are refined up close but dramatic from a distance. In back, large protruding oblong tail lamps exaggerate the width of the vehicle, with an SUV look provided by a prominent skid plate and sill guard. Overall, its aggressive sculpting gives the GLA more youthful and dynamic looks than any other Mercedes—and deliberately so. Inside, the dashboard and cabin will be familiar to CLA owners. Its horizontal shelf layout includes five circular vents and smoothly rounded details—a look that carries over from vehicles like the new S-Class and C-Class, but still works well in a smaller scale. The display screen hovers above the dash top, as a standalone vertical plane, which lets the dash stay low and slim—a look we like. Both textures and materials differ between the upper and lower portions of the dash, and a few unusual choices—matte-satin wood is one—definitely make the cabin stand out from other small luxury cars. The powertrain comprises by a 208-horsepower turbocharged 2.0-liter inline-4 producing 258 pound-feet of torque paired to a 7-speed dual-clutch transmission driving either the front wheels or all four wheels. No manual gearbox is available, and a start-stop system is standard (though it can be switched off). Mercedes quotes 0-to-60-mph acceleration in just 6.4 seconds, and to a top speed of 145 mph. This year the high-performance GLA45 AMG gets a power bump to 375 hp and 350 pound-feet of torque, with 0-60 mph times reduced to just 4.3 seconds, officially. There's also a new Race mode, among other upgrades. No sane owner will try to make a GLA do the same kinds of off-road duty as a Jeep, but it's surprisingly capable AWD system provides rugged ability in snow and on dirty and gravel tracks. The GLA 4Matic isn't limited just to muddy sports fields and slick roads, though. AWD models are fitted with Downhill Speed Regulation, as well as an off-road transmission mode. The taller ride height makes body roll more apparent on fast corners, but its CLA sedan underpinnings let the GLA offer roadholding and handling that’s more like a passenger car than a utility vehicle. A new electromechanical steering system is designed to pair with stability-control intervention, to aid control. Once behind the wheel, the power-adjustable front seats are well-bolstered and comfortable even for extended trips. The rear seat remains a tight fit for adults, with the same limited legroom as the CLA—and if tall drivers push their seats all the way to the rear, legroom essentially disappears altogether. But there’s considerably more rear headroom, which the sedan’s coupe profile compromises in the rear. A rigorous focus by designers on reducing aerodynamic drag and wind noise gives the GLA a commendably quiet interior and ride. A few examples include a tailgate spoiler to extend the roofline, underbody panels to reduce turbulence, and carefully shaped door-mirror housings. But that steeply raked liftgate limits cargo volume, which is 46 cubic feet with the rear seat folded down. Let’s be clear: This is a small, AWD hatchback utility vehicle better suited to couples than to families who carry the standard amount of stuff. Standard features on every GLA250 include 18-inch alloy wheels, a power liftgate, power front seats with memory, and on the 4Matic version, hill descent control and other off-road assistance programs. 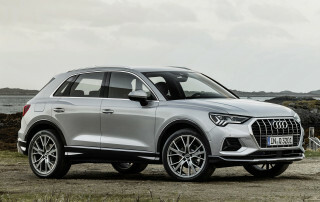 The list of options is extensive, but highlights include the COMAND vehicle information and infotainment system, bi-xenon headlamps, a panoramic sunroof, and that suite of electronic active-safety systems. Eight standard airbags lead off an extensive list of standard and optional safety features. Few cars in this class offer as many comprehensive safety features like Attention Assist drowsy-driver detection, for example. Then there’s a radar-based forward collision mitigation with automatic emergency braking, aimed at eliminating low-speed collisions 4 mph up to 31 mpg. Add in the active cruise control, and the system is upgraded to Collision Prevention Assist Plus—which can brake automatically at up to 124 mph to help reduce the severity of a crash. Other safety extras include parking assist for automatic parallel or perpendicular parking, blind-spot monitors and lane-keep assist. Strangely, a rear-view camera remains an optional extra. The base front-wheel-drive GLA250 starts slightly above $30,000, and adding 4Matic all-wheel drive will cost you another $2,000. It's entirely possible to add $10,000 or more of options to the GLA, including to the hot-rod GLA45 AMG version—which is more than $15,000 pricier to begin with. 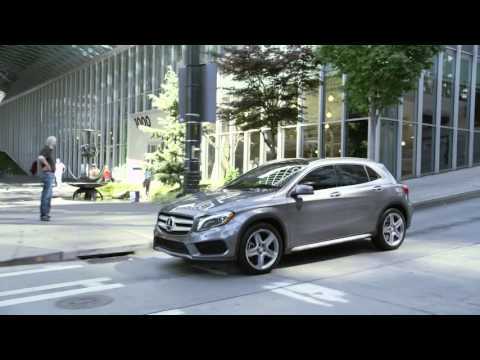 You'll get 24 mpg city, 32 highway, 27 highway from the GLA250 with 4Matic all-wheel drive. If you can live without the AWD, though, you'll add an extra 2 mpg, to ratings of 25/35/29 mpg. The 2016 Mercedes-Benz GLA is more of hatchback than SUV; its exaggerated exterior design works well, with a semi-luxe interior. The 2016 Mercedes-Benz GLA “crossover” has the body and proportions of a five-door compact hatchback, even if it carries the GL prefix that the company uses to designate a utility vehicle. It’s high enough to qualify as a truck—with ground clearance of 8 inches, it sits more than an inch higher than the GLA sold in Europe—and all-wheel drive is optional. 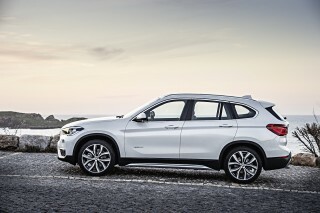 The large wheels, either 18-inch standard or 19-inch optional designs, give it small crossover proportions, but its windows aren’t as tall as those of conventional SUVs. Like the coupe-like CLA sedan with which they share underpinnings, the styling of the GLA is smoothly rounded but more aggressive than you might expect from Mercedes, which calls it “sporty, emotional design.” The GLA has a stubby, businesslike purposeful look, in part because it’s 8.4 inches shorter than the sedan as well as 3 inches taller—and the bobbed tail replaces the elegantly tapered trunk of the sedan. An upright oblong Mercedes grille is flanked by swept-back headlights whose lines continue along the fenders. Two horizontal silver bars support an oversize three-pointed star in the center, one of several elements—including lights, wheels, and wheel arches—that were deliberately made larger to give the little car a big street presence. There’s no slab-sidedness in the deeply sculpted body sides, and steeply angled rear pillars are anchored by huge oblong taillights. The GLA shares much of its interior with the CLA sedan, including no fewer than five oversize air vents—three in the center, plus one at each end. The gauges sit in tubular housings, but the clean, sleek controls and the instrument cluster instantly read “Mercedes”—at perhaps four-fifths the scale of similar elements in the big Mercedes sedans. The horizontal display that floats above the dash surface turns out to be a polarizing element: Some feel it looks tacked on, others appreciate it as a way to make the instrument panel lower and less bulky. Dark-grey synthetic upholstery is the standard interior material—it’s called MB-Tex—but the optional two-tone package lightens the cabin considerably. Numerous trim options include mock carbon fiber, wood, or aluminum accents. Leather is available as an option, naturally, and the AMG hot-rod model gets not only accent stitching in the upholstery, but also contrasting seat belts in the same color. The 2016 Mercedes-Benz GLA is fun to drive and holds the road well, but the (pricey) GLA45 AMG is an outright hot hatch. Just like the CLA sedan whose running gear it shares, the 2016 Mercedes-Benz GLA has only two powertrain choices: standard or high-performance. The bulk of sales will be the GLA250 model, which comes with a 208-horsepower 2.0-liter direct-injected and turbocharged inline-4 that produces 258 pound-feet of torque. It's mated to a 7-speed direct-shift gearbox that powers either the front wheels or, with the addition of 4Matic all-wheel drive, all four wheels. Mercedes quotes 0-to-60-mph acceleration of 6.4 seconds for the 4Matic all-wheel-drive model. Under acceleration, we found the engine responsive, but in this age of aggressive fuel economy ratings, the 7-speed transmission is programmed to upshift as soon as possible. That means that the turbo has to spool up while the transmission downshifts one and often two gears before the available power can be delivered. It's not an issue in relaxed driving, and the shifts are smooth, quick, and well-insulated. The optional 4Matic system remains front-biased, distributed up to 50 percent of the torque to the rear wheels only when it senses a loss of traction. While the GLA250 feels like a car behind the wheel, it's taller than its CLA sedan sibling. That means more discernible body roll in the GLA, although it holds the road well and its cornering is nicely balanced. We didn't take our test cars off the road, but the GLA 4Matic has received good reviews for being able to handle more than simply slick roads and muddy fields. Then there's the hot-rod GLA45 AMG, with its far more powerful 375-hp engine—still in the same turbocharged 2.0-liter format—producing 350 lb-ft of torque. Virtually all the internals have been strengthened and reinforced to allow it to put out what would have been race-car power levels just a few years ago. Per AMG practice, each engine for this model is assembled by a single worker, and bears a plaque with his name on it. The GLA45 AMG is now capable of blasting to 60 mph in just 4.3 seconds. And it gets an edgier new Race mode with the Dynamic Plus Package. We've found that under power on curves it actually hangs the tail out—which is entertaining and no doubt exactly what many of its buyers want. Once turbo boost kicks in above 2,000 rpm, it takes off like a rocket. The company has given it some delightful exhaust notes, too, a blend of howl and rasp. Otherwise, it hangs tenaciously onto the road, aided by its lower-to-the-ground stance and considerably wider 19-inch wheels and tires. It's probably the world's most refined, priciest hot hatch, with nearest competitors being the Subaru WRX STI or Volkswagen Golf R32—though neither of those cars have a three-pointed star. The 2016 Mercedes-Benz GLA is well-built, stylish, quiet, and comfortable, but it's hardly roomy among smaller SUVs. The 2016 Mercedes-Benz GLA is one of the smaller vehicles in the low end of the luxury utility market, and while it has more rear-seat room than its CLA sedan counterpart, it's still more suited to two occupants than four. 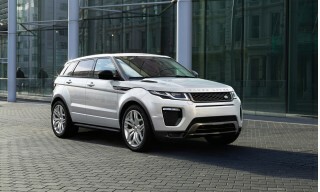 They'll occupy comfortable and well-built front seats, though, with firm bolsters and excellent back contouring. For 2016, Mercedes has adjusted the lower-cushion length adjustment, which may help alleviate a concern that broader or larger adults may find the lower cushions short and narrow. Both front seats have power adjustment for rake and position. MB-Tex is the standard upholstery, and of course, there's leather as an option. The Recaro sport seats in the GLA45 AMG are simply fantastic, complete with contrasting stitching. In the rear, there's adequate headroom for adults but legroom is limited—as it is in the CLA sedan, which also stints on headroom. That makes the GLA one of the more confined compact crossovers, especially compared to its larger sibling the GLC (the replacement for the old GLK). The GLA's compact hatchback shape carries over to its cargo space, only 17 cubic feet with the rear seat up. There's a pass-through for skis or other long items, however, but it's more useful for carrying cargo with the split rear seat back folded down. It doesn't fold quite flat, but close enough. That takes the cargo volume to a hardly expansive 43.6 cubic feet. Refinement is good, as you would expect from Mercedes-Benz, and quality is high. The GLA remains quiet and calm under most circumstances, offering a compact-sized version of the brand's traditional solidity. The optional low-profile tires on larger wheels become noisy on some pavement types, though. Unfortunately, we weren't able to test the standard wheels—which often have taller sidewalls that cut some of that noise and the little bump harshness we felt. The console includes a pair of storage bins, with one in the standard location under the driver's elbow and the other a squared-off recess where the shift lever would normally sit (and does in the GLA45 AMG version). Instead, the standard GLA has a modern interpretation of the old-fashioned column shift, freeing up considerable space between the seats. The cost-cutting to achieve a low-$30,000 base price shows through in just a few areas. The five vents have notched silver trim rings that are glossy plastic, and the glare-reducing shade on the sunroof feels like the thinnest of fabrics. Neither the NHTSA nor the IIHS has rated the 2016 Mercedes-Benz GLA yet, but it has a full slate of optional active safety systems. 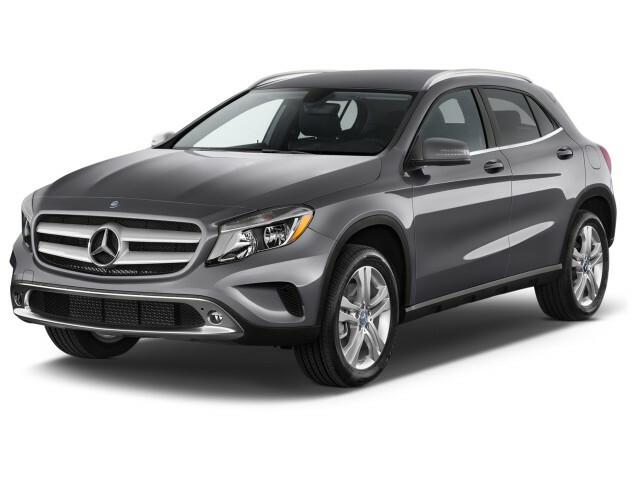 The 2016 Mercedes-Benz GLA is the smallest utility vehicle from a brand with a long and honorable safety legacy, and buyer expectations on that front will be high. Standard safety features start with eight airbags: front, side, and knee bags for front-seat occupants, plus side-curtain bags across front- and rear-door windows. Collision Prevention Assist Plus with automatic braking is also a standard feature, unusually for a car of this size. The system monitors objects ahead, and alerts the driver if a collision is imminent—then brakes automatically if the driver hasn't responded in time. It lessens the impact of a collision at higher speeds, and can avert some altogether at lower speeds. Attention Assist is also standard, which alerts the driver if it senses slower response times or wavering between lanes. In addition, adaptive braking incorporates hill-start assistance and brake drying in wet weather. Mercedes also fits a hold function that keeps a GLA in place on hills even if the driver remove a foot from the brake pedal once the car has stopped moving. Still, the car's safety credentials haven't yet been validated by independent testing. Neither the IIHS nor the NHTSA has tested the GLA for crash safety yet. The company says it expects to achieve top ratings whenever that happens. Optional safety equipment on the GLA includes lane-keep assist to warn drivers if the car is drifting out of its lane, adaptive cruise control, and active parking assistance. Bi-xenon headlamps are also optional, as is a rearview camera—surprisingly—though for 2016, its field of view has been widened to 180 degrees. The 2016 Mercedes-Benz GLA, like others from the brand, carries a reasonable base price, but options can push it to more than $60,000. The 2016 Mercedes-Benz GLA comes in three basic variations: Front- or all-wheel-drive GLA250 models, plus the hot-rod GLA45 AMG version, which will be only a tiny fraction of the sales, but adds some hot-hatch credibility to the lineup. For 2016, Mercedes has modified and updated a handful of features and options for the car's second year on the market. Most notable is a new-generation infotainment system with a 7.0-inch touchscreen display (larger than last year's 5.8-inch screen). The base front-wheel-drive GLA starts above $30,000, and the 4Matic all-wheel drive is a $2,000 option. Standard features on every GLA250 include dual-zone climate control, power front seats with memory, a power liftgate, 18-inch alloy wheels, keyless ignition, eight airbags, and on the 4Matic version, hill descent control, and other off-road assistance programs. Like its CLA sedan sibling, the GLA has an extensive menu of options that will boost the bottom line substantially for those with a heavy hand on the order sheet. 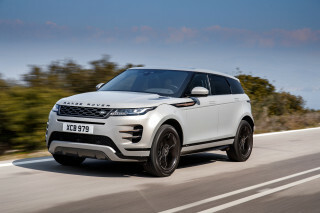 Highlights of the list include bi-xenon headlamps, a panoramic sunroof, the COMAND vehicle information and infotainment system, and a suite of electronic active-safety systems. 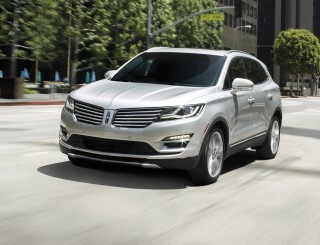 Those include the Distronic Plus adaptive cruise control, active parking assist, and lane-keep assist. A rearview camera remains optional, surprisingly, but it gets 180-degree view. The 12-speaker Harman Kardon premium audio system is also a top-of-the-line option. All-wheel drive is standard on the GLA45 AMG—which it should be with an opening price just under $50,000. Also standard are its vastly more powerful engine, standard 19-inch wheels with low-profile performance tires, and sportier suspension tuning. A host of standard and optional exterior and interior appearance items distinguish it from the GLA250, from aerodynamic body add-ons to contrasting seat belts inside that match the contrast stitching on the upholstery. Fully-loaded AMG models reach toward $60,000. The 2016 Mercedes-Benz GLA has decent fuel-economy ratings for its category, especially in AWD form—except for the hot-rod GLA45 AMG. The 2016 Mercedes-Benz GLA is right on trend, using a smaller and more fuel-efficient engine and a transmission with more gears than it would have just a few years ago. 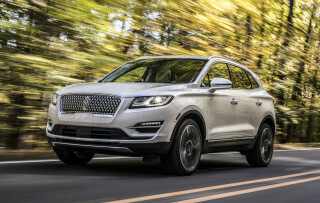 It's a fairly heavy vehicle, but the direct-injected and turbocharged 2.0-liter inline-4 and 7-speed direct-shift gearbox smartly move it around and deliver the necessary gas mileage to keep it competitive through its model life. It's a different story with the GLA45 AMG hot-hatch version, however. In this one, the same size engine produces half again as much power and AWD is standard, so fuel efficiency falls—though not perhaps by as much as you might expect. The AMG is rated at 22/29/25 mpg. Depending on how you drive it, of course, it could go considerably lower than that. In reality, though, is anyone who pays $50,000 or $60,000 for a high-performance compact hatchback from a luxury make really all that concerned about its gas mileage? Like my GLA 2016. Very responsive.Enjoy the ride in town as well on a long trip. Very happy with my 2016 GLA 250!! 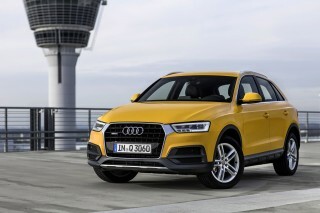 A sporty compact SUV with great looks and exceptional handling. Looking for a different year of the Mercedes-Benz GLA Class?